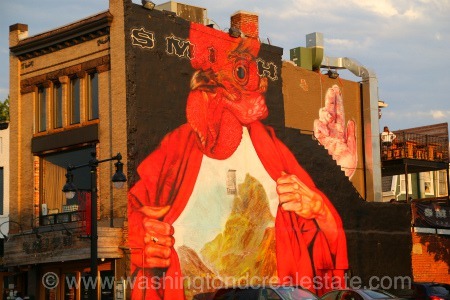 Popular with young professionals, the Adams Morgan neighborhood boasts one of the liveliest nightlifes as well as a mix of coffee shops, ethnic restaurants, cozy shops, bookstores and art galleries. Centrally located north of Dupont Circle and south of Mount Pleasant, Adams Morgan is west of Columbia Heights and east of Kalorama. Properties in the area include a diverse mix of historic buildings, town homes, condos, and colorful architecture interspersed with small businesses. Perhaps the signature event in Adams Morgan is the annual street festival in September known as Adams Morgan Day. The festival combines a celebration of food and music as well as a showcase for local merchants in a family-friendly environment. Many of the local clubs get in on the action with latin american-themed music throughout the festival. 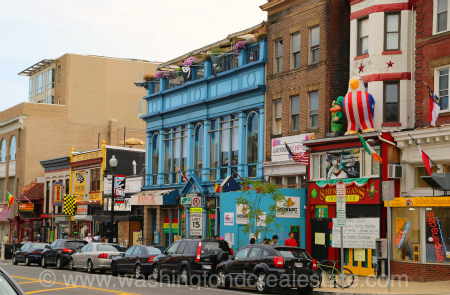 Adams Morgan used to be known as the community to live in for those right out of college, but the increasing gentrification of the area has made this neighborhood appealing for urban professionals and singles in their 30s. New businesses catering to this maturing demographic have also recently established themselves in the area. Where Can You Enjoy Coffee and Read a Book? 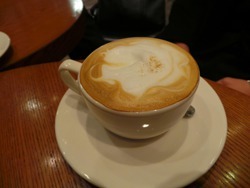 Where Can You Enjoy Coffee and Read a Book in Washington DC?